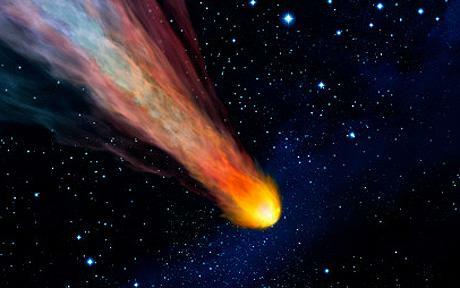 Are More People Spotting Meteors Because of the Russian Blast? Have you ever noticed that if someone in a room starts itching, the itch spreads from person to person and pretty soon the whole room is feverishly itching away? This tendency for an itch to be a psychologically contagious component of human nature could be likened to the sudden wave of meteor-mania making its way through the channels of social media, somewhat expediently, it may be added, in the wake of the Russian blast that took place in February this year. The latest social media meteor-madness was evoked by the sighting of a blast of light across the east coast of the United States on March 22, 2013. From Florida to Maine, people reportedly saw a streak light up the sky, causing the meteor-spotting fraternity to vehemently share their delight on an overworked Twittersphere, whereby, “OMG I saw a real meteor in the Brooklyn’s sky,” posts occupied the social media channels almost as quickly as the blast of light shot by. While there is nothing unusual about a meteor hitting the earth, as Richard Binzel, a professor of planetary science at the Massachusetts Institute of Technology told the Washington Post, “Something that size hits the earth at least monthly, if not every few weeks,” what is unusual is where the alleged meteor sighting took place, over an urban area. The fact that city-born meteors are unusual adds to the skepticism of whether the March 22 sighting was real or just people’s imaginations working into meteor-inspired overdrive. The Washington Post suggests that those reporting the event may have been more aware of meteors in the wake of the one which exploded over Chelyabinsk, Russia in February. What is less ambiguous is that the Russian meteor, which entered the earth’s atmosphere without warning on February 15, 2013, and was the biggest meteor to fall to earth since one that hit Tunguska, Siberia in 1908, has justifiably evoked a flourish of activity surrounding the study of meteors and other near-earth objects. For example, in the wake of the Russian meteor, the House Science, Space and Technology Committee held a hearing on what the United States is doing to track and monitor “near earth object that pose a threat to the planet”. Objects Hitting Earth More Frequently? The fact that the biggest meteorite to hit earth since 1908 was quickly followed by an asteroid narrowly missing the planet adds fuel to the argument that these objects are hitting earth with greater frequency than in the past. Despite this rather panicky picture, scientists assert that there is no evidence to suggest that more meteors are entering the atmosphere than before. What is more uncommon, however, are the alleged sightings that have been occurring since mid-February, particularly in urban areas, where meteors, according to the experts, don’t typically occur. 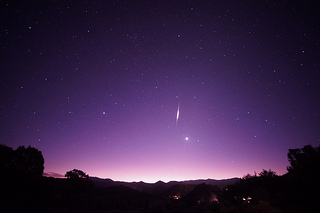 While it would be unfair to suggest that the hundreds of Americans who witnessed a bright fireball streak across the sky on the U.S. east coast were being untruthful about what they saw, particularly since scientists at NASA have confirmed that the sighting was in actual fact a meteor, it is fair to say that in the wake of the Russian meteor that took place on February this year, meteor-related posts are all but guaranteed to gain you a few more followers on the likes of Twitter and Facebook. I must be delusional, that a space based weapon could be used in a similar fashion.